Whether you are a provider of technology products and services or a business consumer, KROST can help you navigate the complex and fast-evolving landscape of innovation, disruption, and opportunity, so that you can improve competitiveness and maximize economic value. 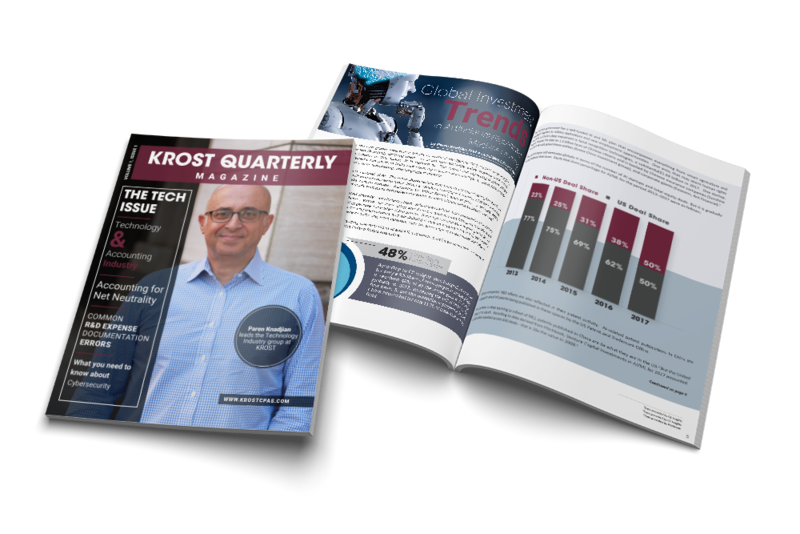 Check Out our KROST Quarterly Technology Issue! The experienced multi-disciplined teams at KROST can provide advisory and implementation service for very specific needs relating to technology, as well as a holistic approach to tackling multiple challenges as a true partner in the development of your business. Questions in regards to the technology industry? Our dynamic team of experts are here to help. Contact us today to schedule an appointment.